Oftentimes you come home tired and stressed after a long day of work and you can barely wait to relax and stop all the hustle. Your home is a refuge where you spend precious time with your family. More than the overall home, your bedroom is a place for intimacy and rest. 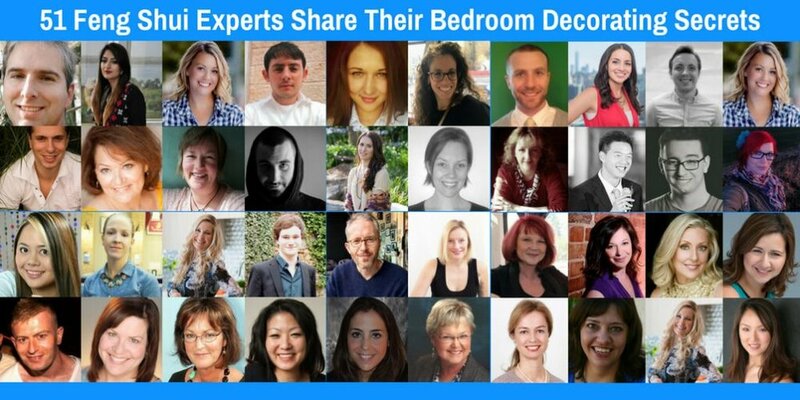 If you are part of a couple, the way the bedroom looks and feels can influence your relationship. It can be the perfect environment for love and romanticism. Even if you are single, the way your room looks impacts your state of mind and productivity. The best solution for transforming your bedroom into a place of harmony that is pleasant to the eye and spirit is to follow the rules of feng shui. To do that, it would be ideal to hire a feng shui expert or even an interior designer. If you are on a budget and want to arrange your room alone, then we have a solution for you. What are your best tips to feng shui your bedroom? We got some great feedback that we would love to share with you. One important area to address in the bedroom is actually under the bed. It is best to leave this space clear, so as to allow qi to flow freely. However, if you must keep items below your bed, aim for soft, sleep-related things, like linens and pillows, and avoid items that may cause stress or distraction, like old love letters, sharp objects or even shoes, which can keep you walking in circles!